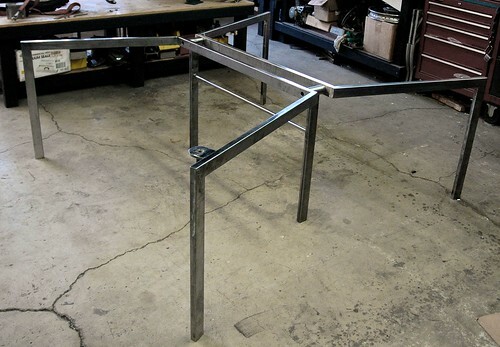 We had the fun opportunity of making an office desk for an industrial design office. 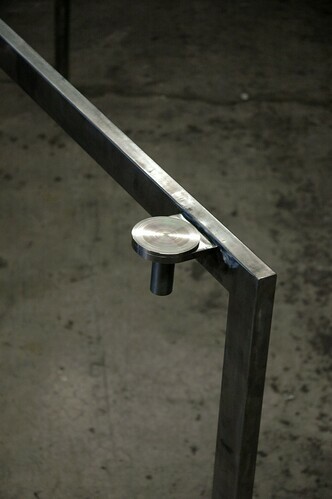 In addition to cutting and welding, it also involved machining for the drawer support. The drawer will swivel out from beneath the (future) glass top. 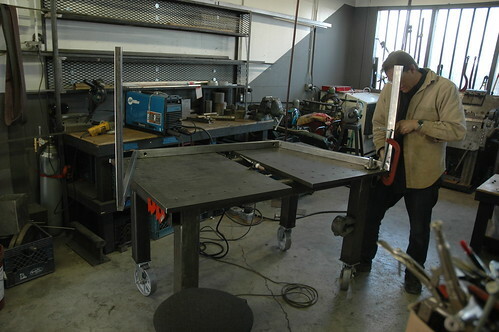 This was one of the first projects that we did on our in-house built welding table. What a difference a solid, flat surface makes. We will post some photos in a future post of the finished table with it’s top and swivel-drawers. We are not evil! If you do choose to include your email address we won't spam you or sell your address, it's just a way for us to (potentially) respond to you directly.